This is a game that PS3 owners have been waiting forever to hear about, though I think most folks’ desire for information stems from pure curiosity at this point. Rockstar, of course, is doing its part to whet our collective appetite, saying that February’s “proper in-depth look” at the game will explain why we should care: it’s apparently “ground breaking [sic] and innovative, both in terms of the game's design and the amazing new technology to support it.” It’s certainly stuff we’ve heard before, but that doesn’t necessarily mean that it isn’t true. The phrase “cover story” obviously implies a gaming magazine; Nick Chester has his money on Game Informer (after all, Rockstar has premiered prior big-name games like Grand Theft Auto IV and Max Payne 3 in the publication). 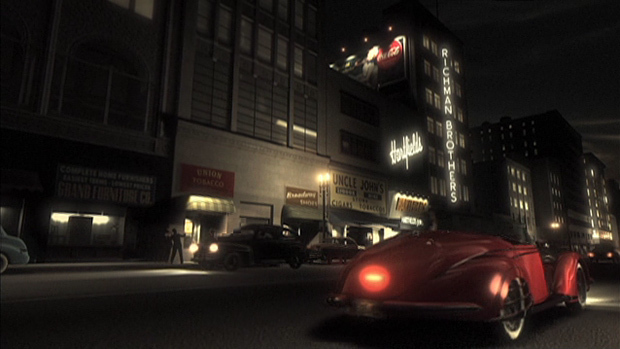 But here’s some perspective on L.A. Noire: Fronz listed it as one of his most anticipated PS3 games of 2009, and that article went up more than a year ago!